Discussion in 'Perisher' started by MisterMxyzptlk, Feb 11, 2019. Have there ever been any proposals to put a ski run down there? has anyone ever done it? but presumably you would lift to the ridge line? From Porcupine Rocks down you get into very dense forest very quickly. Someone has probably done it (coz it's there) but I doubt they had fun. Poppies, Normo and SMSkier like this. looking out the train on the way up, 99% of the time you'd be in for a long walk. Poppies, Ozgirl and MisterMxyzptlk like this. Not as far as I know. But when it comes to weird or outlandish ski plans in the distant past, I know a fair bit about NSW, but I'm really only an expert on Vic and Tas. 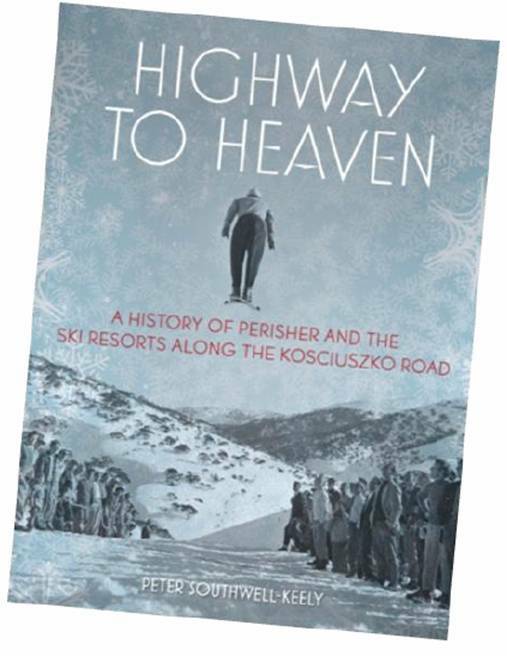 However Perisher has an active historical society so you could ask then and it might be covered in Peter Southwell-Keely's book Highway to Heaven - A History of Perisher and the Ski Resorts Along the Kosciusko Road. malas1, Normo and MisterMxyzptlk like this. No. There would be no access to the tunnel, so no point. MisterMxyzptlk, Normo, climberman and 2 others like this. I have skied out that way. You can get a little way down the hill and into the foredt but most of it would walking through rough country in thick scrub. MisterMxyzptlk, dawooduck and SMSkier like this. This section has been why Parks has resisted this route for many years. It will be expensive. Here’s a few shots from 2 weeks ago looking over Bullocks and Crackenback. And one closer to Porcupine. gareth_oau, Poppies, skifree and 5 others like this. I've spoken to a couple of "older guys" on the lifts who have said that it was once possible to ski from the top of the old Mt.P double all the way down into Jindabyne, drop your skis off at the bike shop, swap to a roadie and cycle to the coast where you could swap for a surfboard, pick up some perfect waves and smoke dope while watching the sun set. I believed the last bit! Skiing Gus, Marquise de Kappy, Jonathan_P and 6 others like this. In the history of the Snow Revellers ski club (worth a read if you can find it - there's a copy in the NSW State Library) there is a report of an epic ski from Perisher to Berridale. ecowain and Normo like this. These pics are from skiing the backside of Mt Duncan and a little West skiing towards the Thredbo River. Cover and snow was good this day. A bit of a breeze and new snow falling. We came out this way after looking up to where Guthega Trig should be then looked at Paralyser and said yeah, na na na. It is a good area when others are socked in or too breezy. It did clear enough for us to see Bullocks and the Gold Course from here. It is a long way down. MisterMxyzptlk, ecowain, robbo mcs and 2 others like this. These pics are from Pretty Point (think back of Rainbow Lake) skiing towards the Thredbo River. Nice snow and lines but a little short. And the forest does get thick. Arne, MisterMxyzptlk, ecowain and 7 others like this. A little mouse told me that you can ski perisher to porcupine rocks, then fly to bullocks flat or the diggings. The diggings offer better surface for skis to slide on. skifree and Telemark Phat like this.